The Panasonic RF-5000 solid-state radio receives the long wave, AM, FM and 8 shortwave bands. Long wave is 140-400 kHz, AM band is 525 to 1605 kHz. FM is from 76-108 MHz. Shortwave coverage is: 1.6-4.5, 4.5-6.5, 6.5-9, 9-12, 12-16, 16-20, 20-25 and 25-30 MHz. 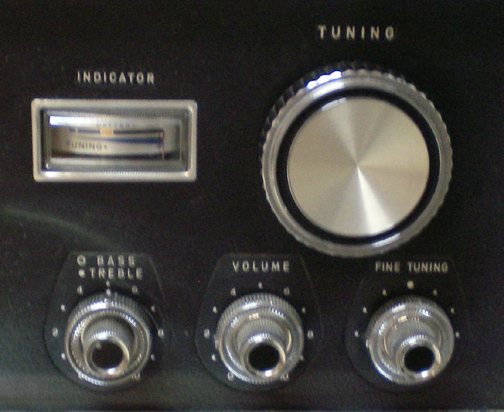 This radio features a tone control and electrical fine tuning knob. 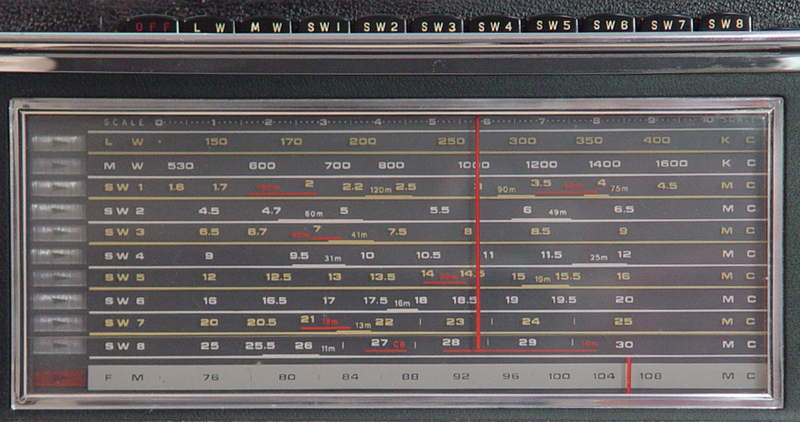 Bands are selected by a buttons on the top of the radio. There is a tuning meter and a momentary contact lamp switch plus an AFC On/Off switch. The back panel has numerous I/O jacks for: Record Out, Phone Input, MPX Output, and Earphone (mini jack). There are also external antenna jacks. 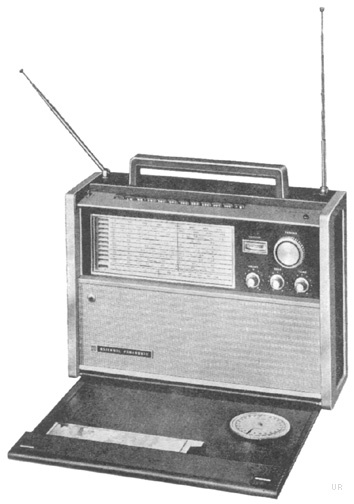 This radio has a dual telescopic whip and a fold-down loop antenna. A full sound is delivered via the 7 x 5 oval and 5 inch round speaker system. Operation is from six D cells. 16.8 x 11.6 x 5.75 inches 22.8 Lbs. 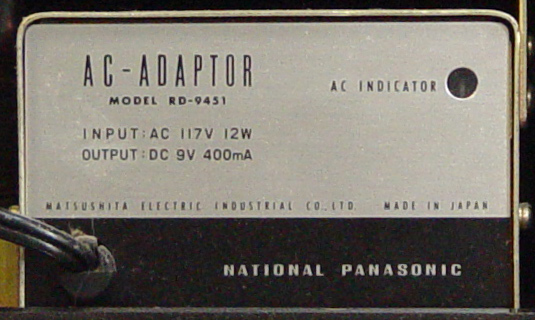 The Panasonic RF-5000A version has the RD-9451 AC adapter built-in, so may be operated from six D cells or AC power. Copyright 2009-2015, Universal Radio, Inc.